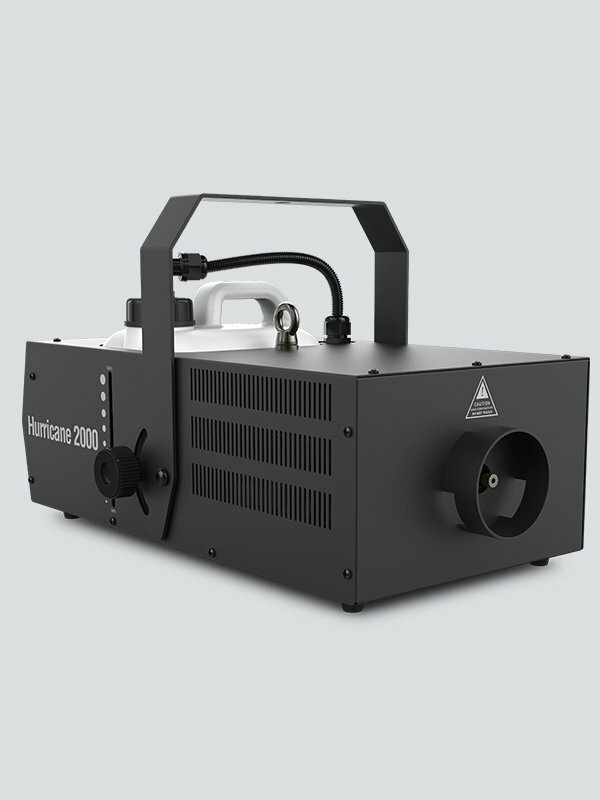 Hurricane 2000 is an event-ready, high volume fog machine that produces a thick plume on demand. It features a PowerCON®-compatible power input connection and 3- and 5-pin DMX input/output connections for quick setup options. Hurricane 2000 has Always-ready technology that provides continuous output and its built-in timer provides hands-free, automated operation. An advanced fluid sensor with automatic shut-off prevents overheating and the variable output can be controlled from the on-board LCD display or DMX.